Hey everyone, Amanda here. I thought maybe Iâ€™d share with you, and with Robin, my tips for an unforgettable wedding. I know Iâ€™m a little too late with these suggestions, seeing as how the wedding already happened. But who knows? Theyâ€™ve already gotten married twice now, a third time may be in the cards. It doesnâ€™t hurt to be prepared. 1. First, and most importantly, pick a theme. There are all sorts of great themes you can choose from. Like science fiction? 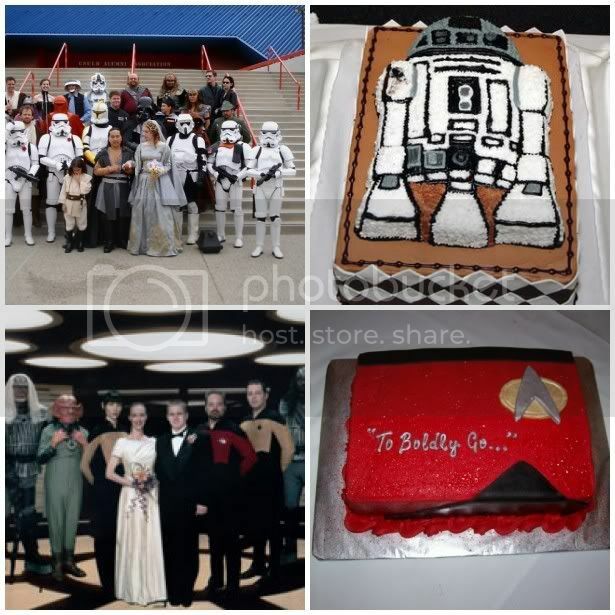 Star Wars and Star Trek make for particularly lovely wedding themes. Into bowling? Robots? There’s a theme to fit your unique specifications. 2. Now that you have a themed picked out, itâ€™s time to think of your attire. The perfect dress is important. But who wants to look like everyone else? I say be unique. And donâ€™t forget the perfect accessories! Carrie has it right. Who doesnâ€™t want a bird on their head? Plus, I saw these shoes and thought of you, Robin. Youâ€™re welcome. 3. Now for everyoneâ€™s favorite part of the reception, the cake. 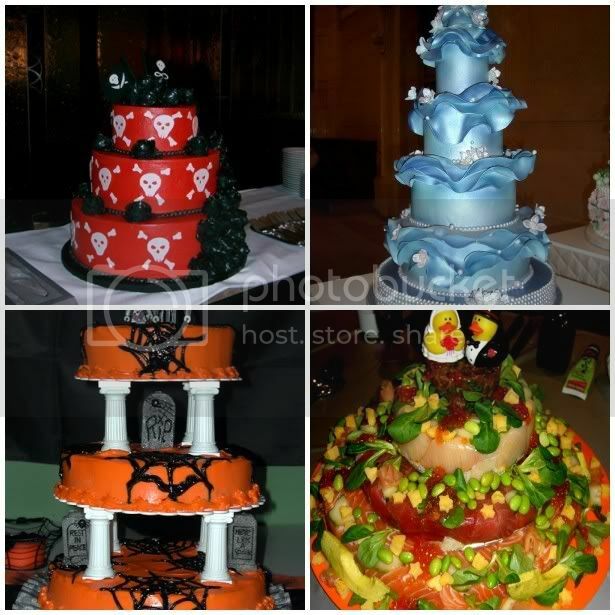 If for some crazy reason, you donâ€™t want a themed wedding, itâ€™s important to pick out a distinctive cake. Anyone can have a boring white floral cake. You need to give them something to remember. 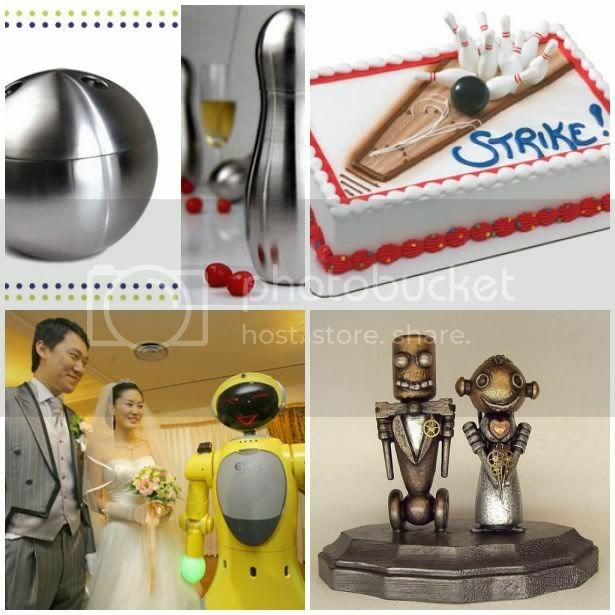 Obviously, there are other, more trivial details that go into planning a wedding. Guest list, bridal party, locations, yada yada yada. Clearly these are not as important as the tips above. So follow my suggestions, and youâ€™re guaranteed to have an awesome, unforgettable wedding. That R2D2 cake is awesome! A cheeseburger cake at a wedding would be memorable!!! !